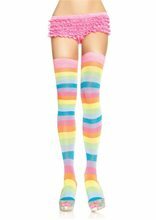 Acrylic neon rainbow thigh highs These acrylic Neon Rainbow Thigh Highs feature alternating bands of bright, cheerful color and make a great addition to a clown or rainbow costume! 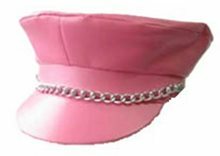 Biker Adult Hat.Includes: One Biker Adult Hat.Available Size: One Size Fits Most Adults. *Costume and Accessories Not Included. Sold Separately. 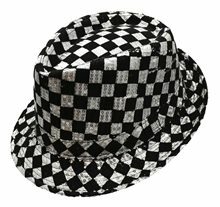 This Biker Punk Hat is a flat-top cap with a small chain above the peak. 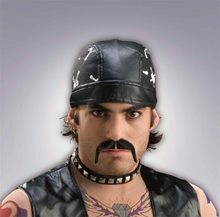 It is just like the traditional leather caps that bikers wear as motorcycle enthusiasts. 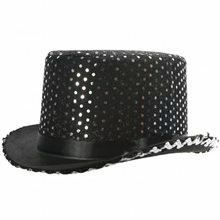 This cap would be a great accessory for your Harley Davidson biker or Hell's Angel motorcycle gang Halloween costume. Biker Hat,Not for your everyday witch Add some flare to your little spell caster look this Halloween! Available in One Size Fits Most Children. Includes: Hat. Does not include top, makeup, or wig. 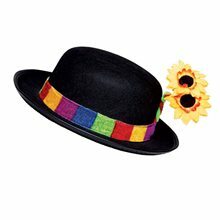 Black Sequin Fedora Adult Hat.Includes: One Black Sequin Fedora Adult Hat.Available Size: One Size Fits Most Adults and Teens. *Costume and Accessories Not Included. 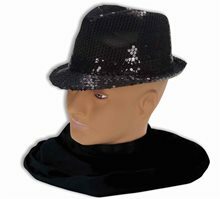 Sold Separately.The Sequin Fedora Hat is covered in sparkly sequins to give you that glamorous flapper look! Available in many other colors.